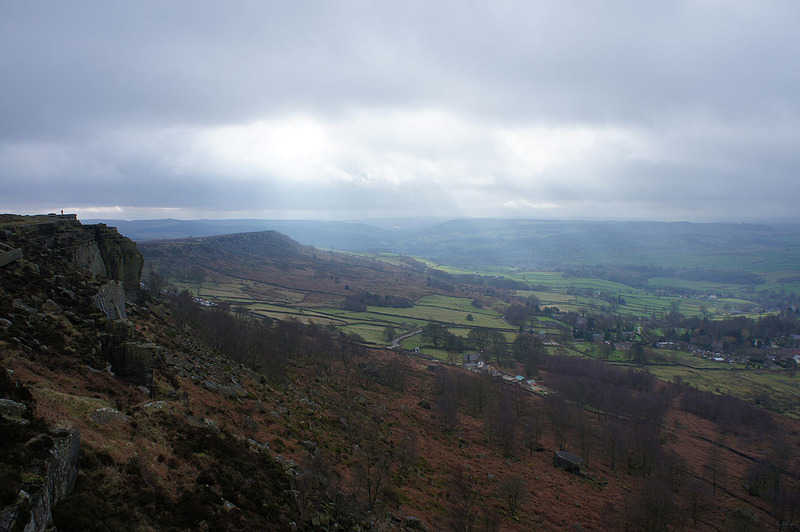 I didn't make the best decision regarding which day to head out this weekend. 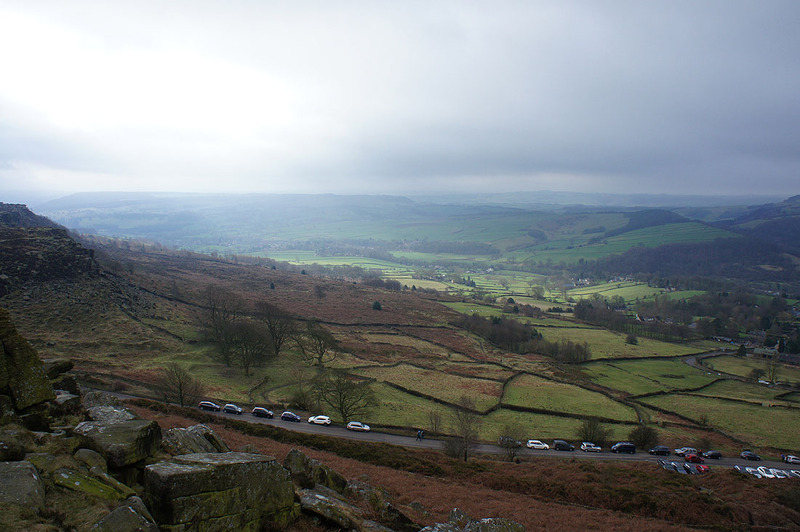 With hindsight it should have been yesterday, it turned out to be better than forecast. 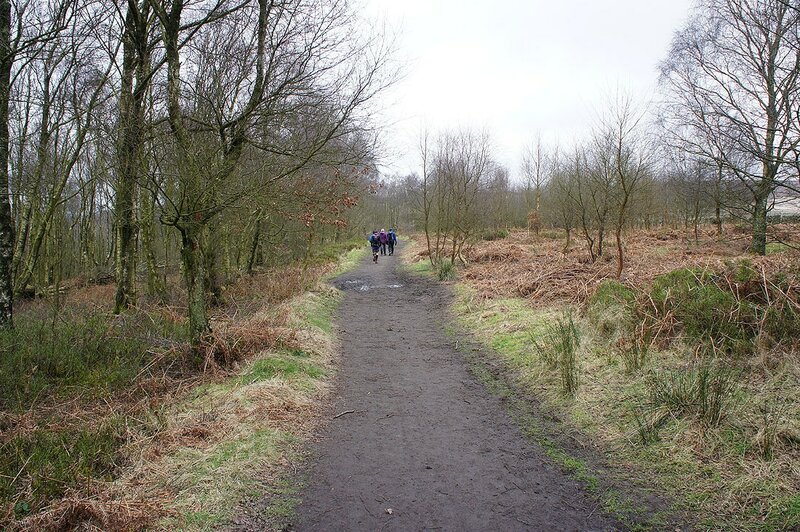 Never mind, I was just glad to get out on a walk somewhere after not doing so last weekend. 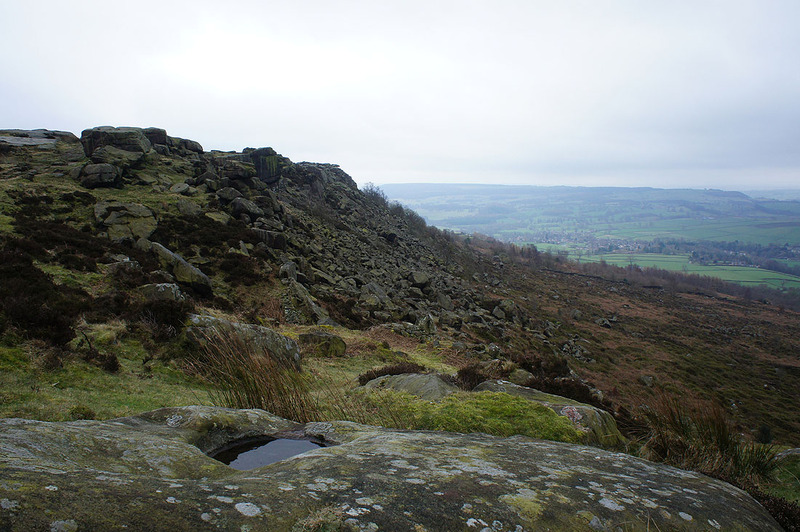 I'd already decided that I was going to go to this eastern part of the Peak District for a walk along the southern gritstone edges above the Derwent Valley, with the wind in the west I was hoping that they would see the best of the weather that was on offer and I always enjoy a walk along a gritstone edge. 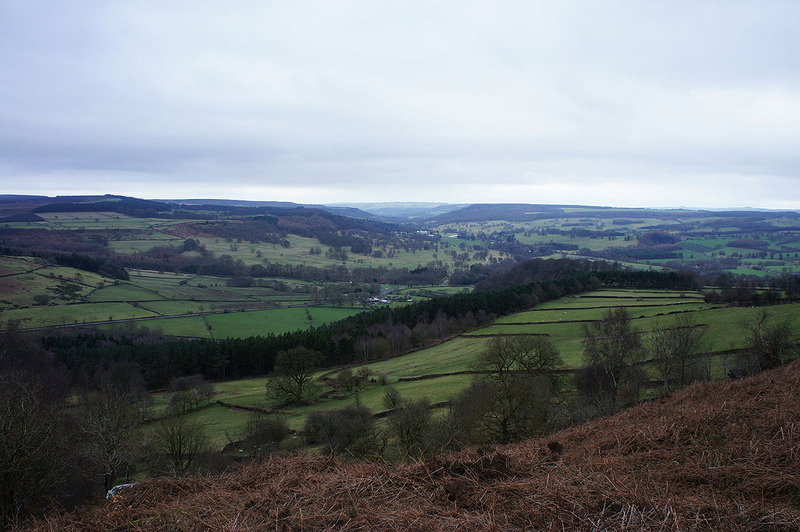 When I set off from home I did begin to wonder what sort of day I was going to have. 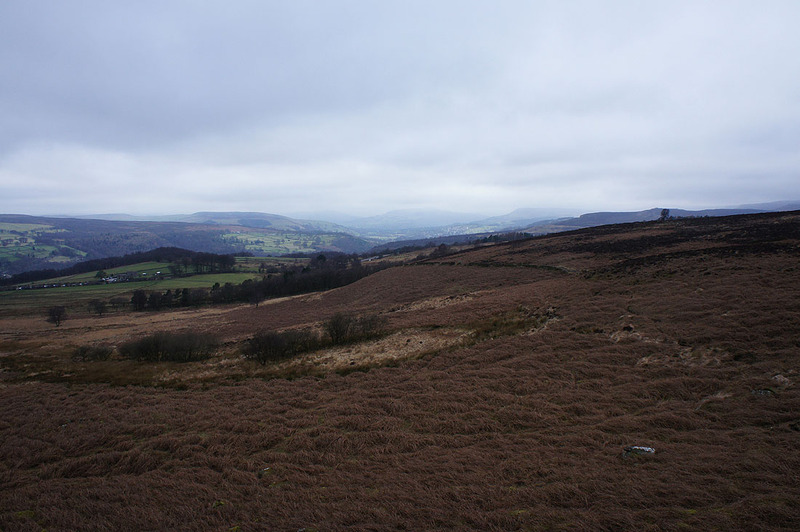 A heavy drizzle was falling and the cloud was sitting really low on the hills. 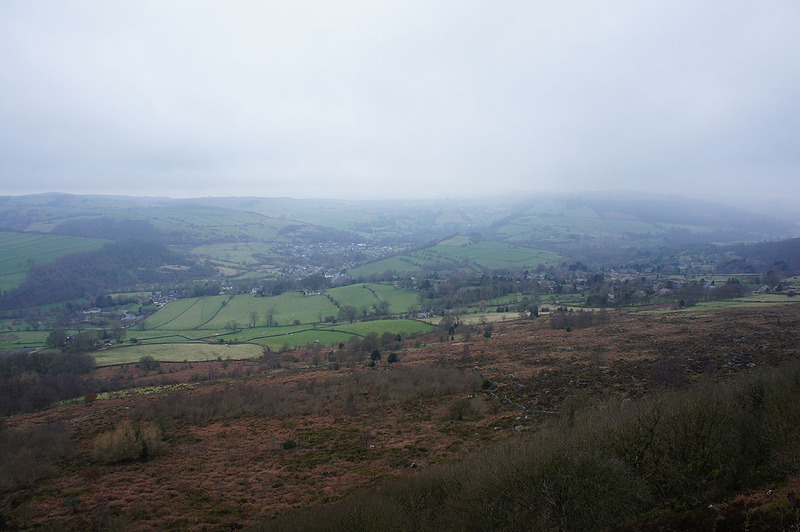 It was only on the final approach through Stoney Middleton and Calver that things started to look up, the drizzle stopped and the cloud was clear of the moors. 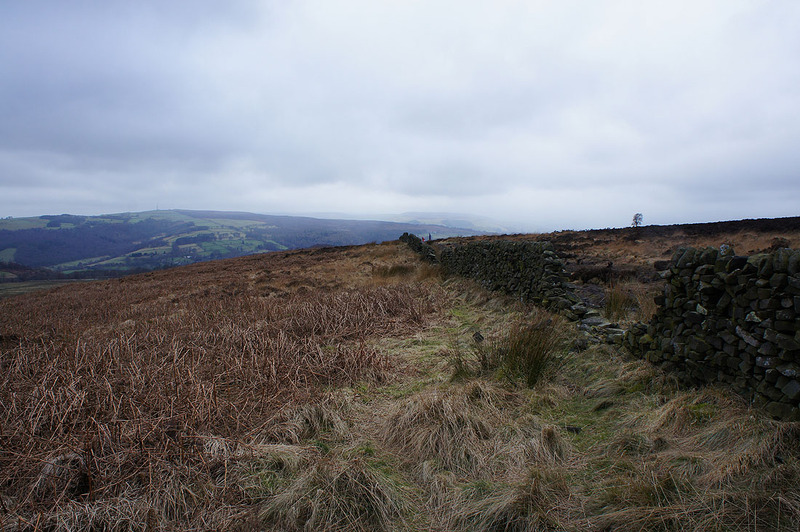 My walk was done under mostly grey skies with spits of drizzle in the strong wind every now and then. 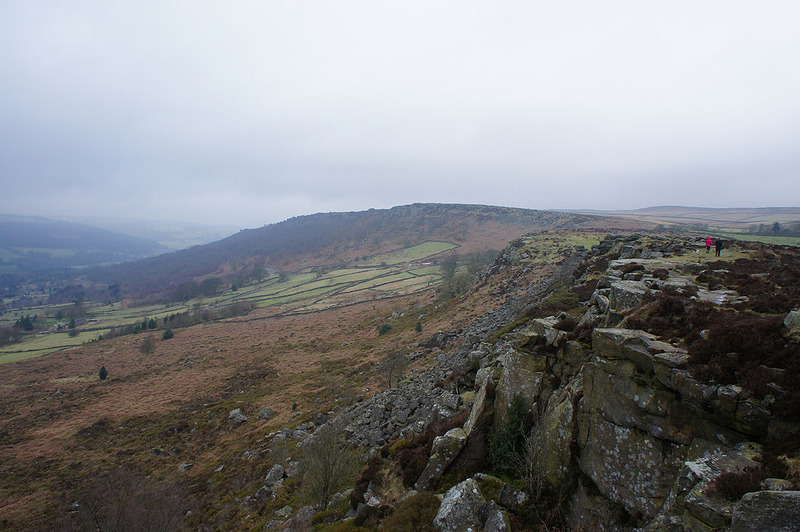 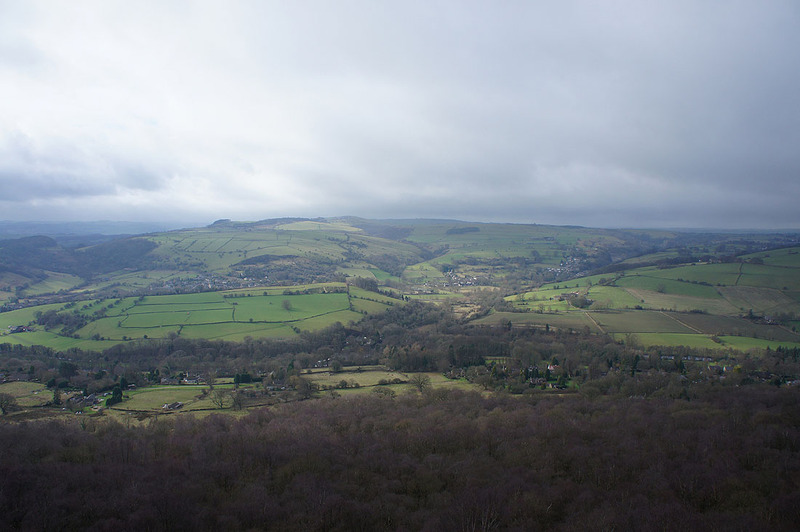 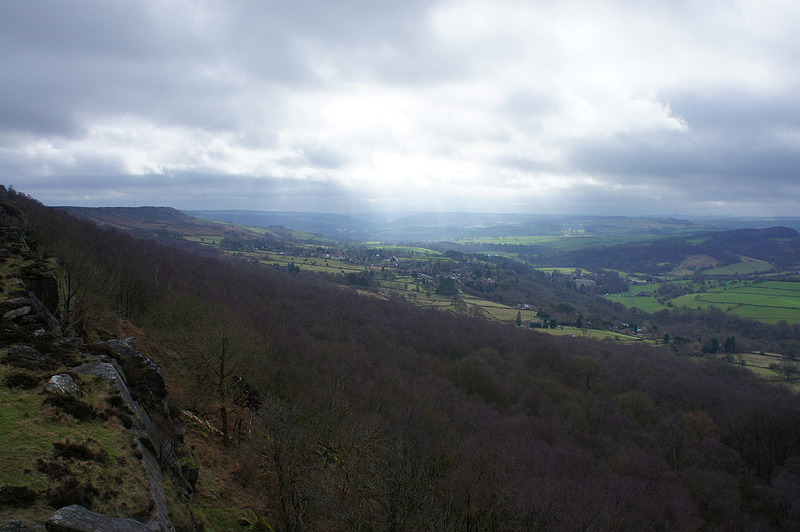 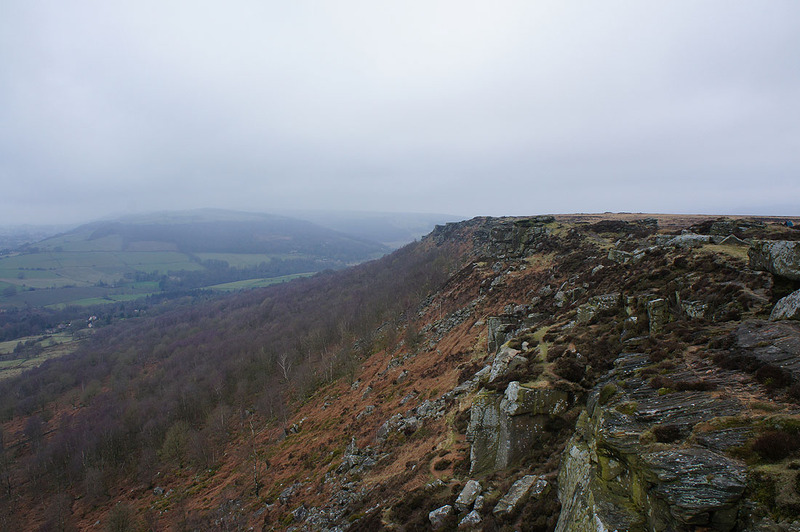 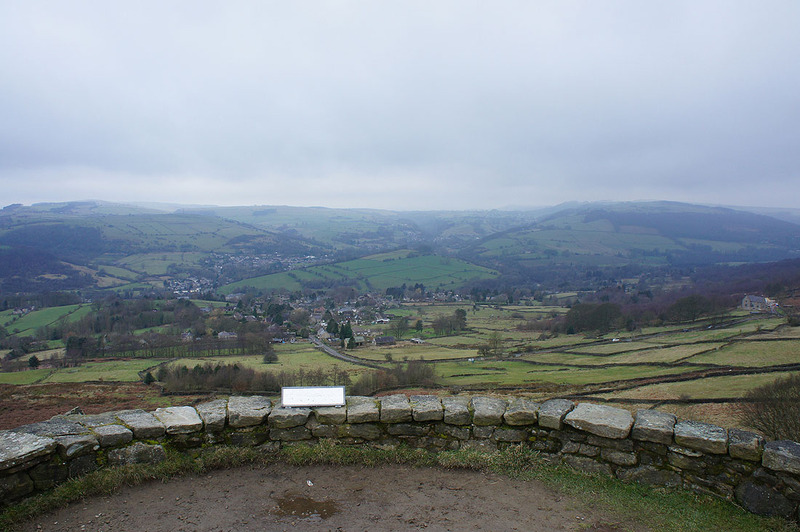 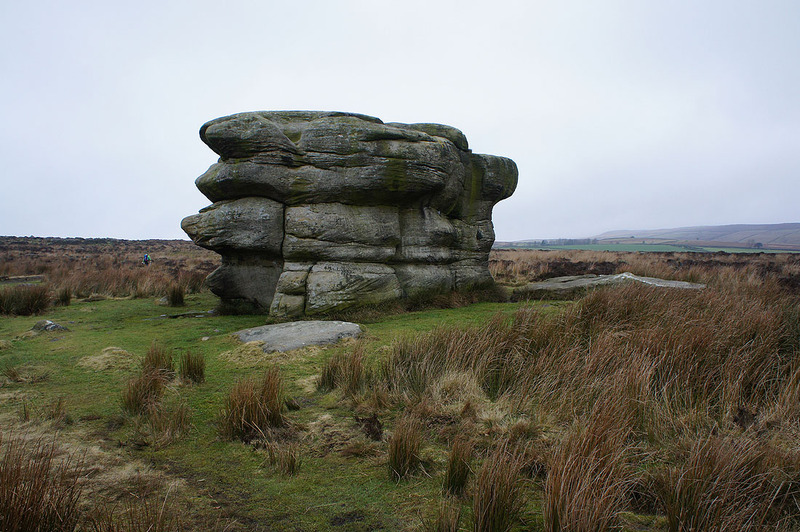 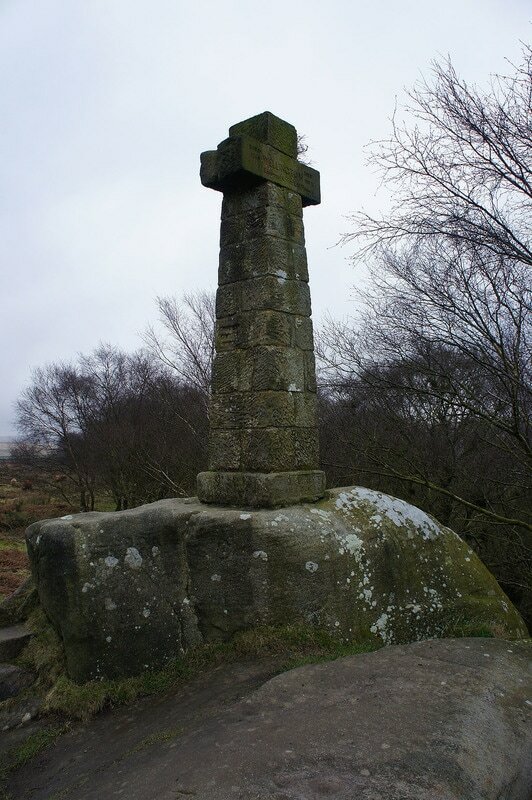 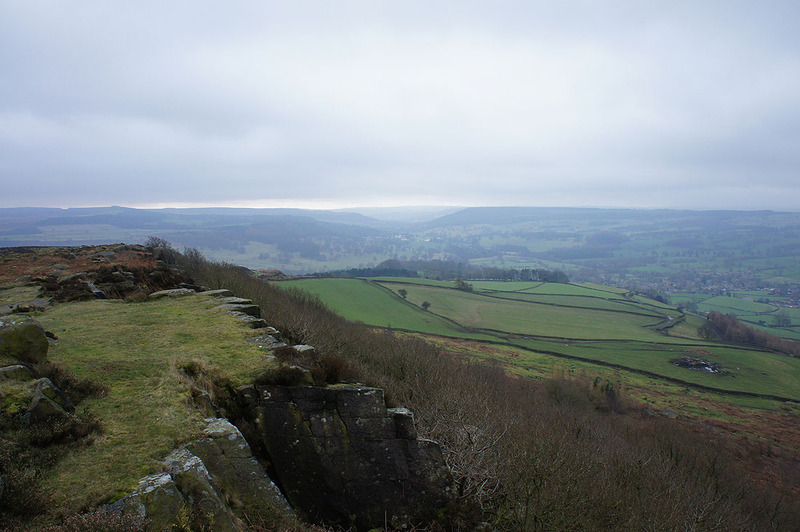 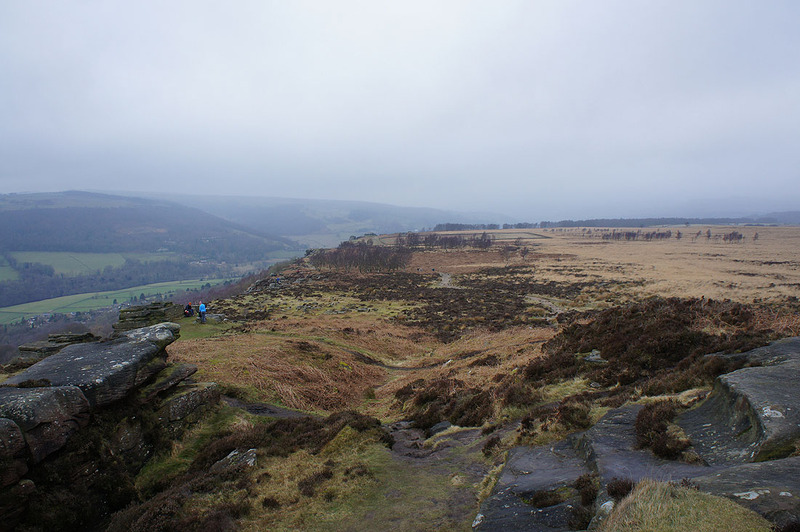 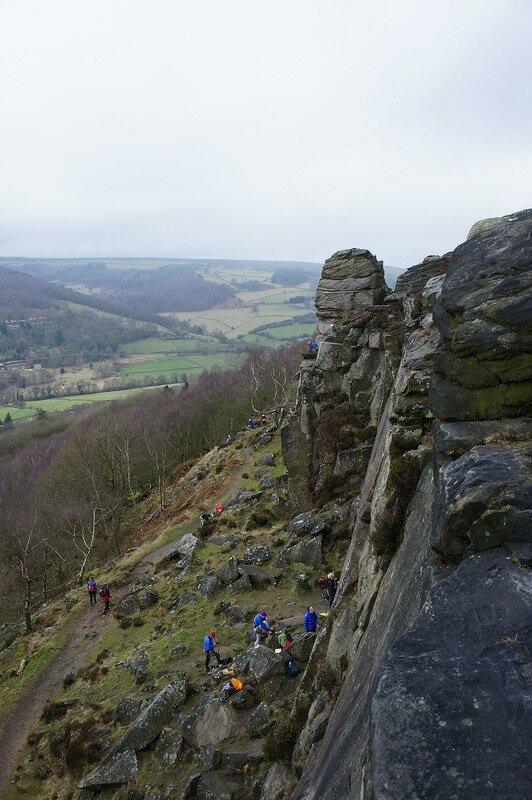 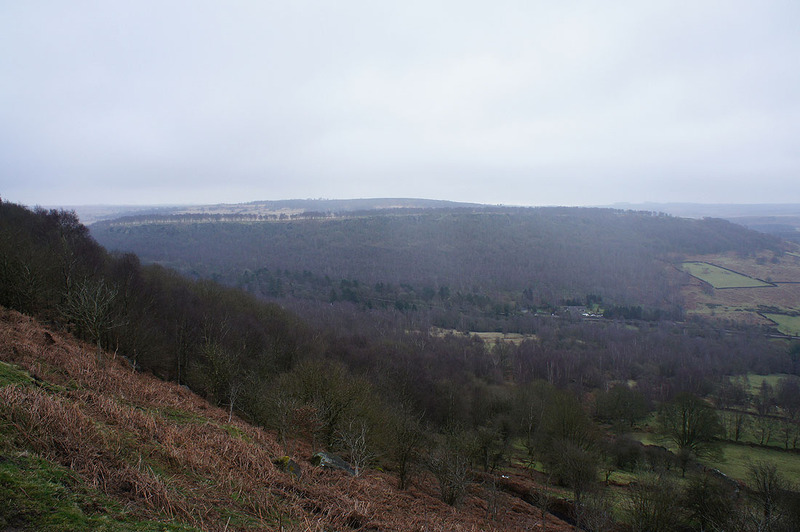 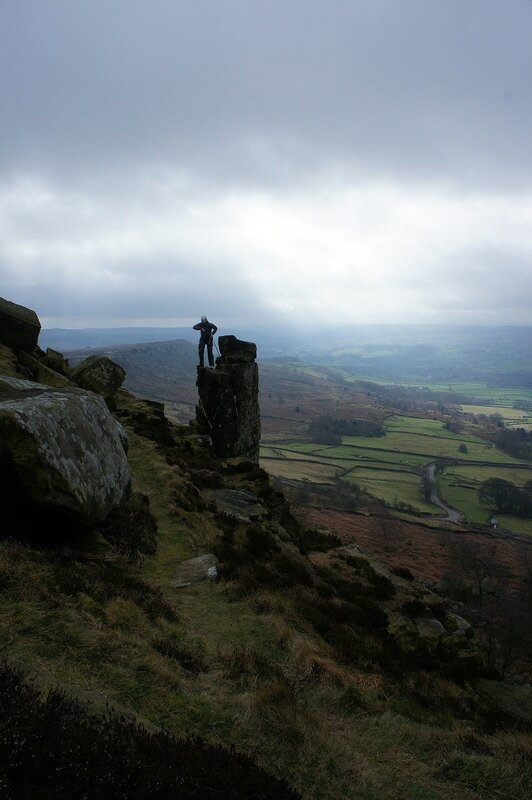 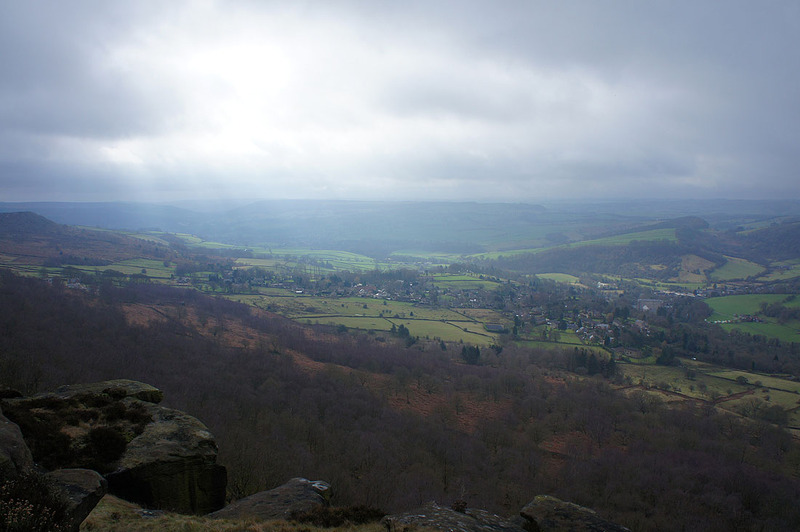 It was mild though and the brief glimpses of the sun I had from Curbar Edge made my day. 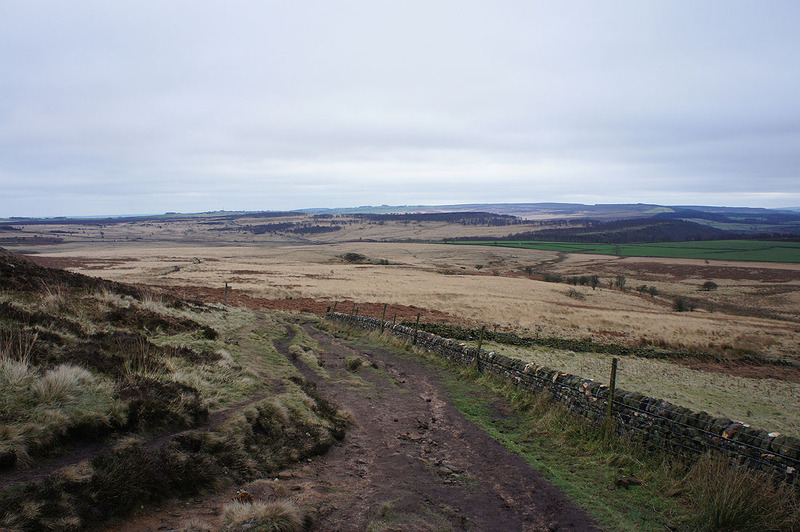 From the car park in Baslow I crossed the A619 and walked up the road of Eaton Hill and then right up Bar Road. 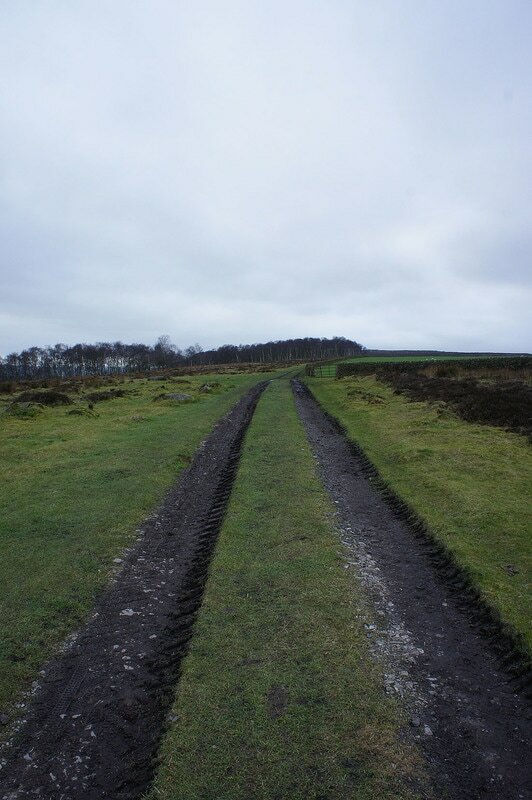 This becomes a bridleway and this was then followed uphill to Wellington's Monument. 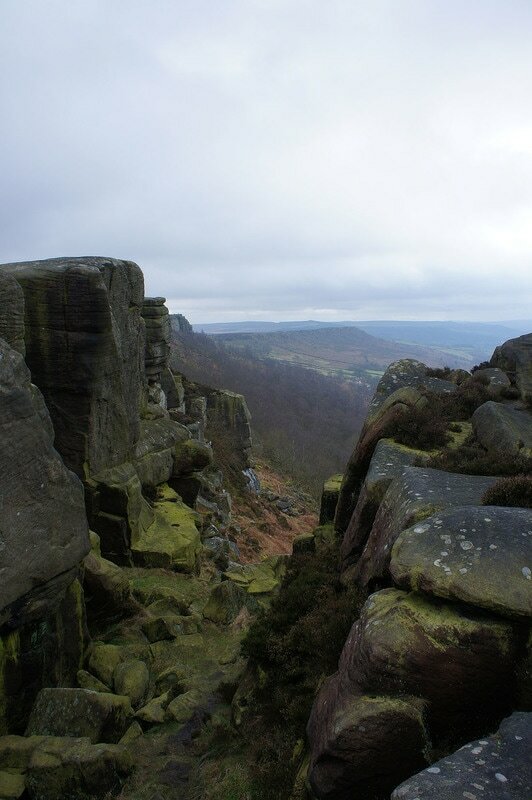 After a visit to the Eagle Stone I got onto the path on Baslow Edge and followed this north to Curbar Gap. 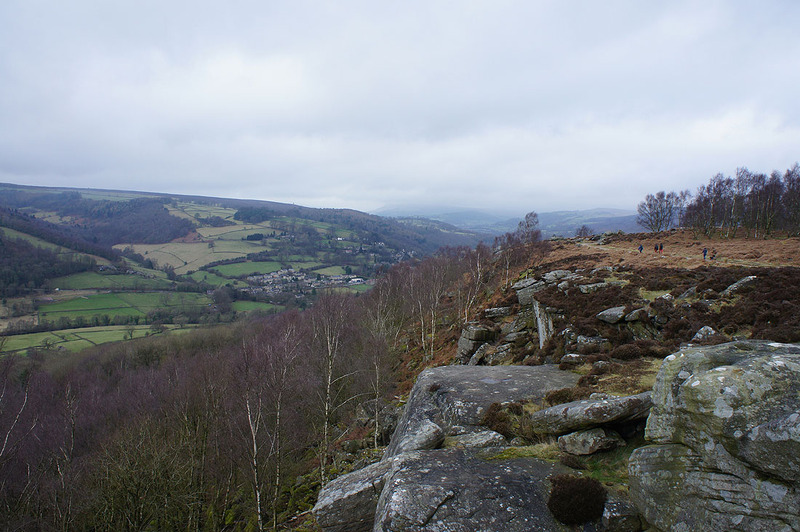 Across the road I kept heading north along Curbar and Froggatt Edges to reach the A625. 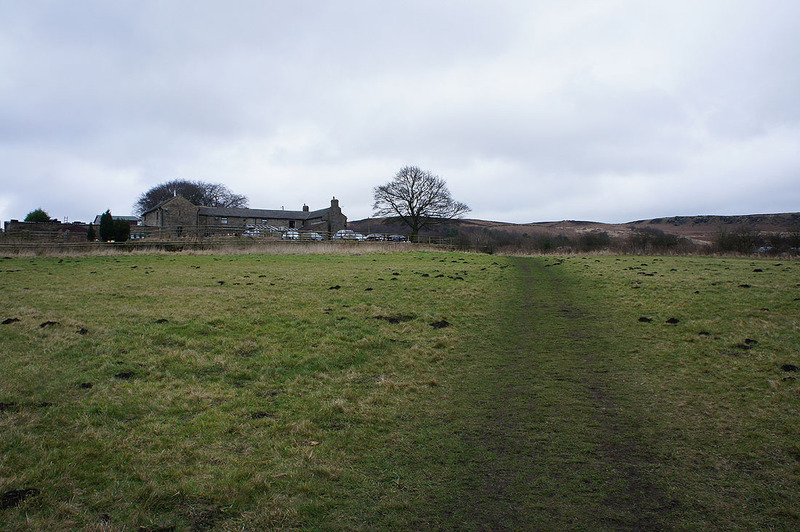 The path on the other side of the road took me down to and across a brook and up into Hay Wood and the National Trust Longshaw Estate. 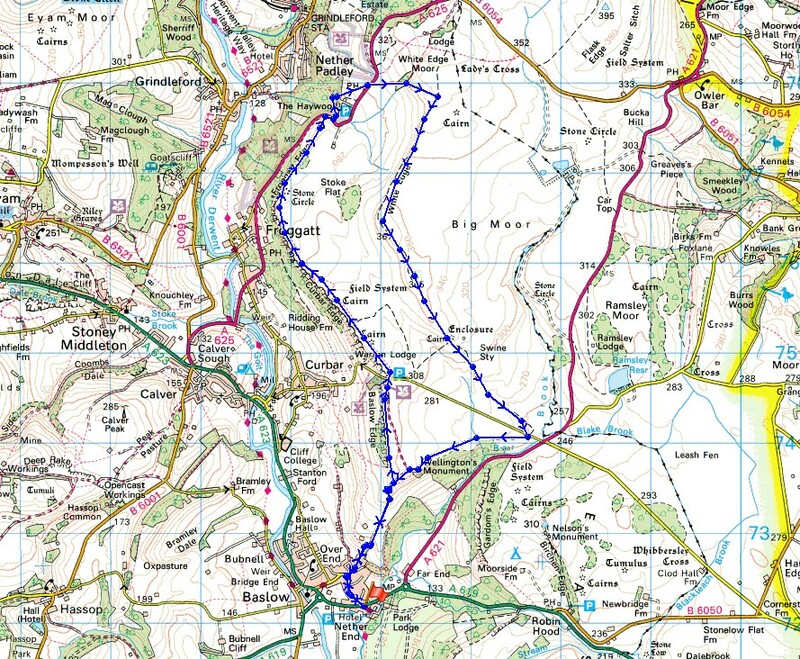 A walk past the car park was followed by a right turn to take the path up to the Grouse Inn on the A625. 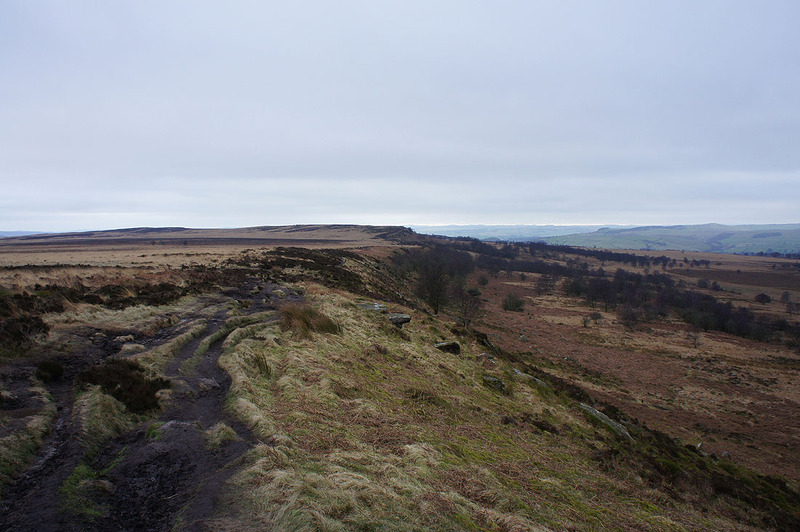 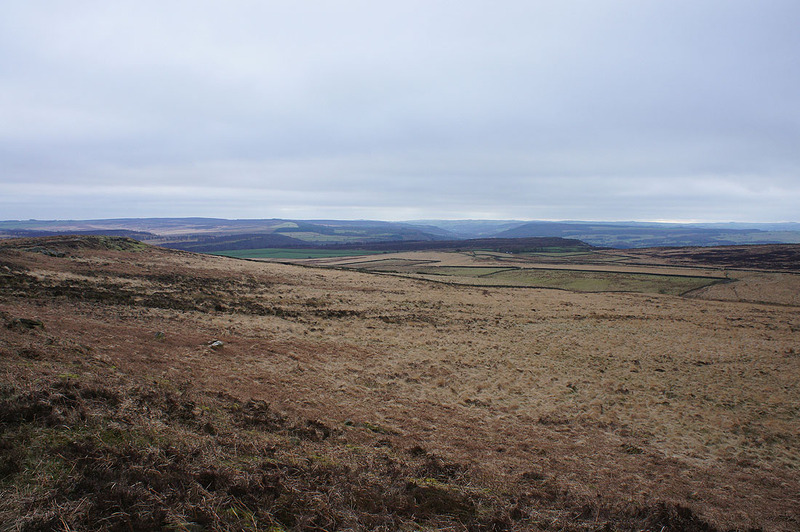 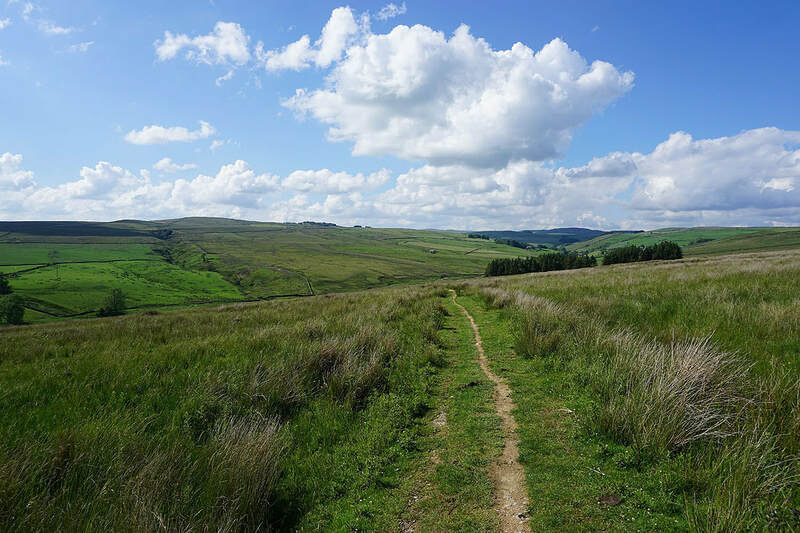 Over the road and the bridleway east to White Edge Moor was taken. 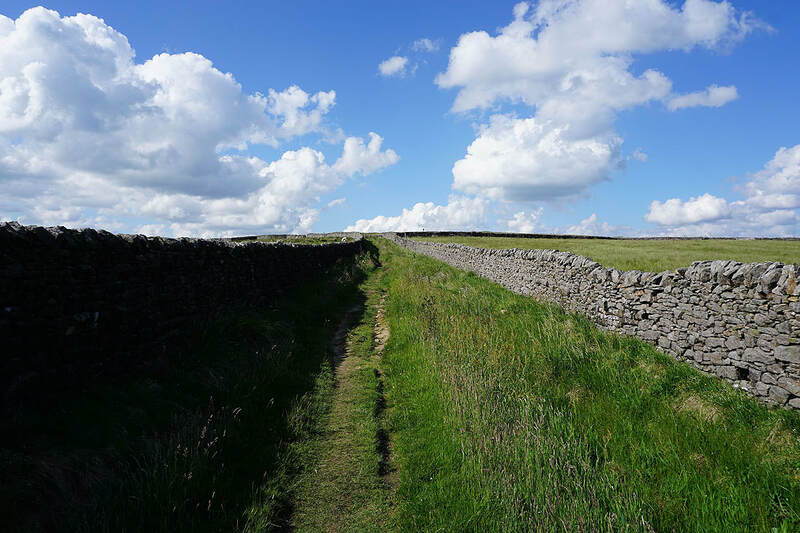 This reaches a path junction by a wall and here I turned right and made my way south along White Edge past the trig point and down to Clodhall Lane. 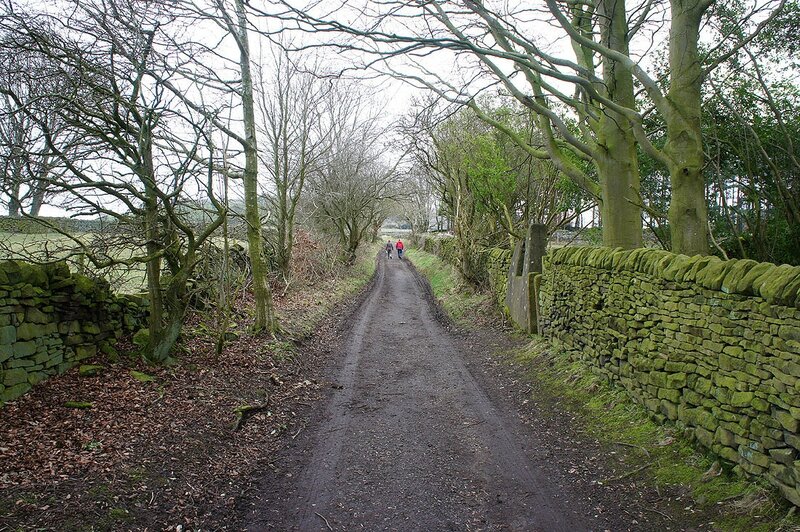 Across the lane I took the bridleway to Wellington's Monument which brought me back to Bar Road for a return to Baslow. 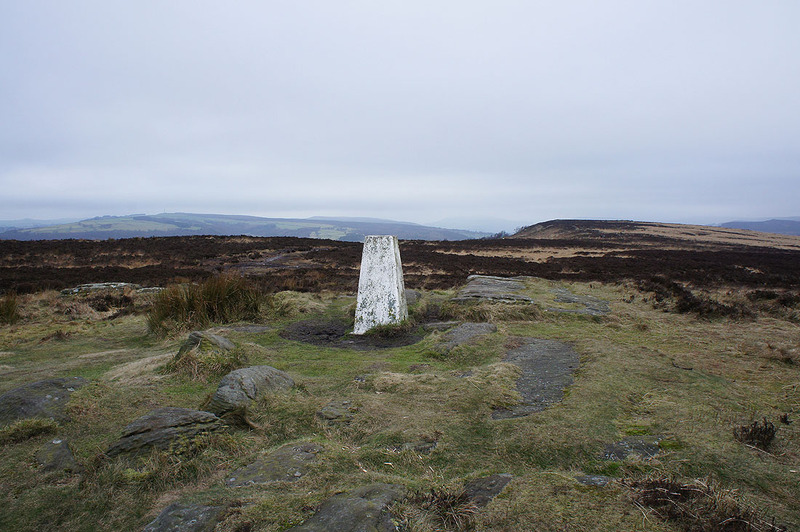 White Edge to the north. 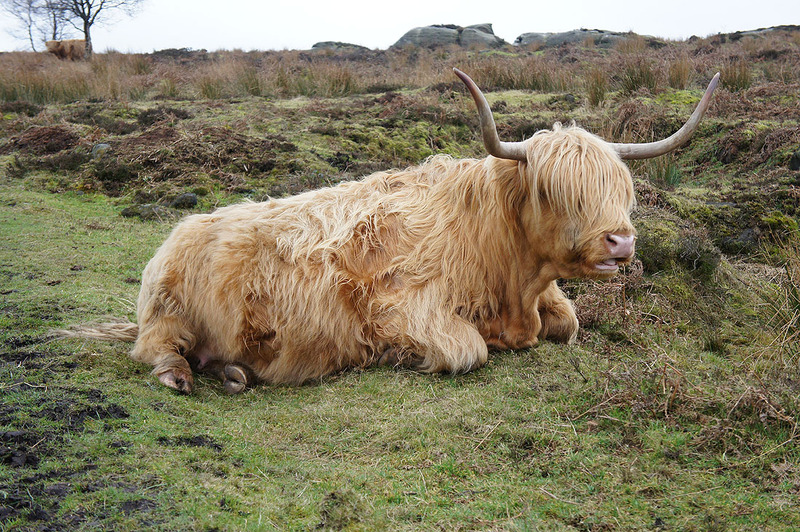 I'll be on it later in the day. 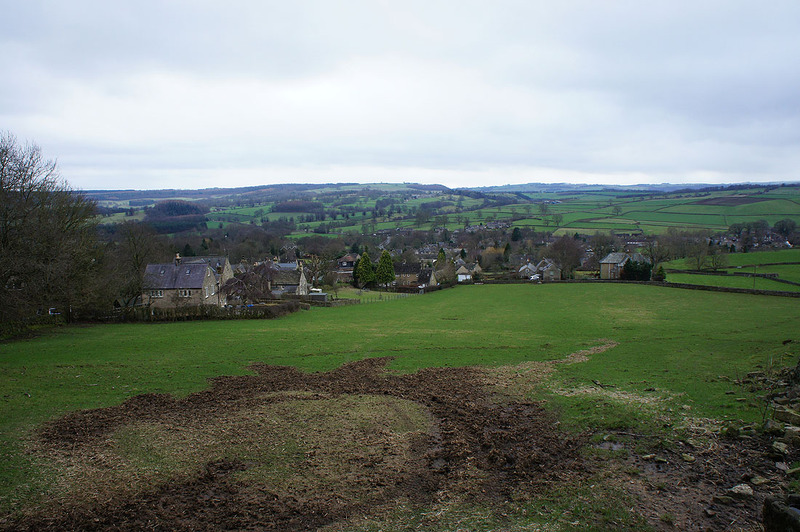 The village of Grindleford in the valley below. 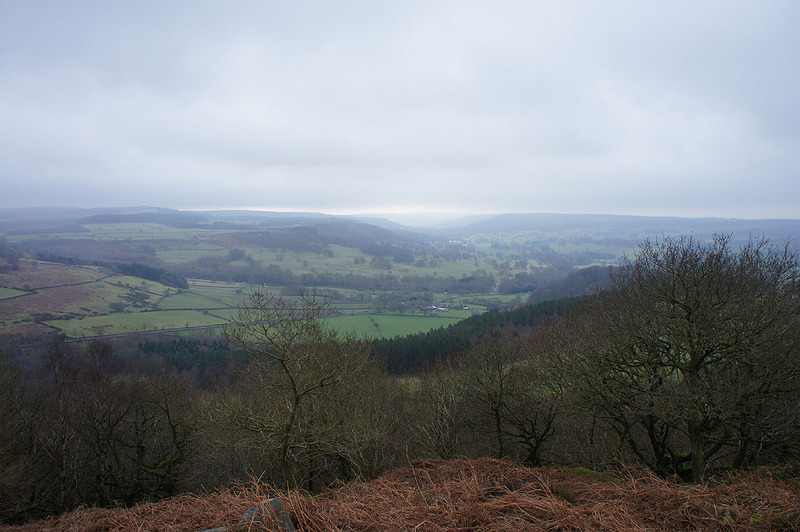 The moors higher up the Derwent Valley are shrouded in cloud. 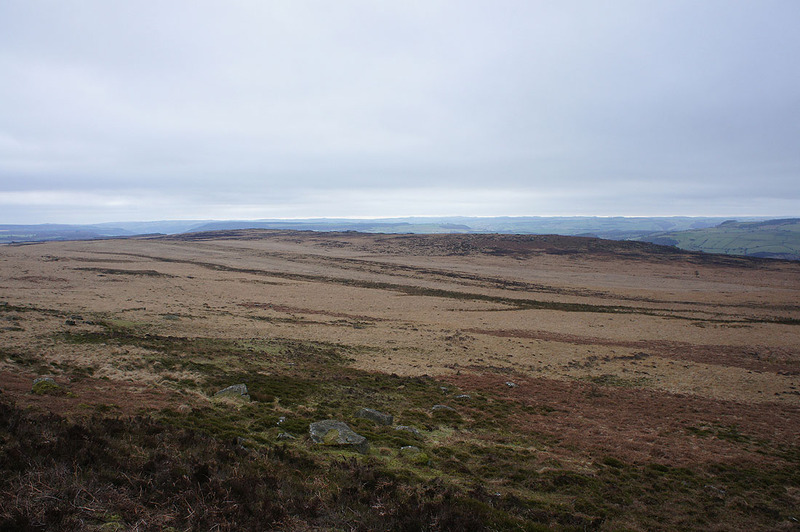 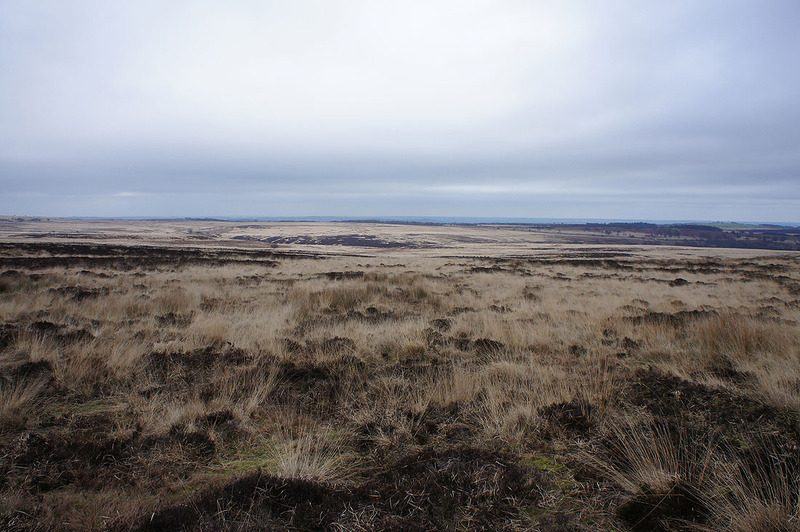 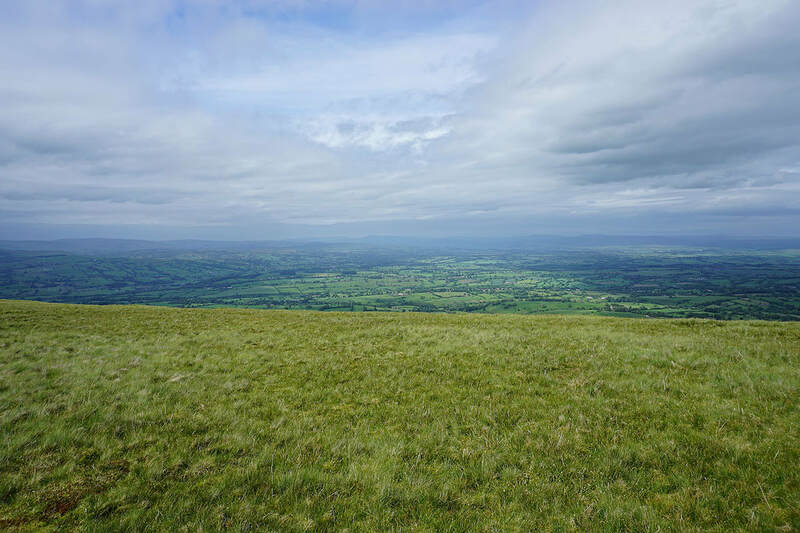 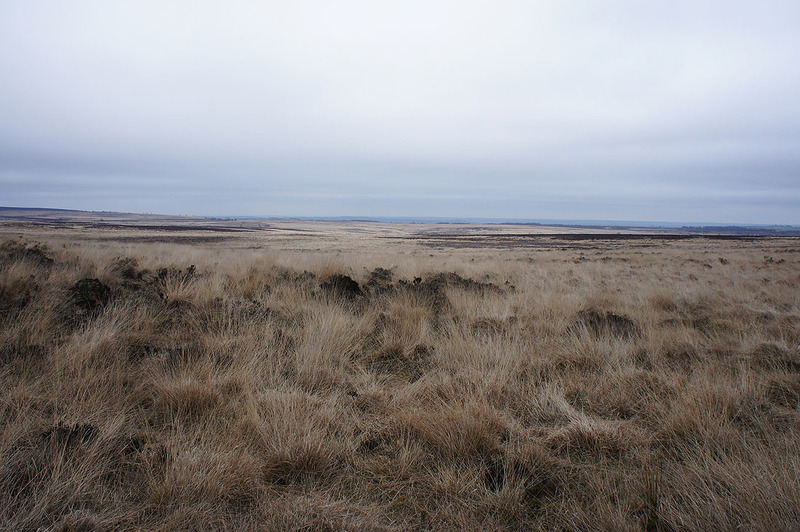 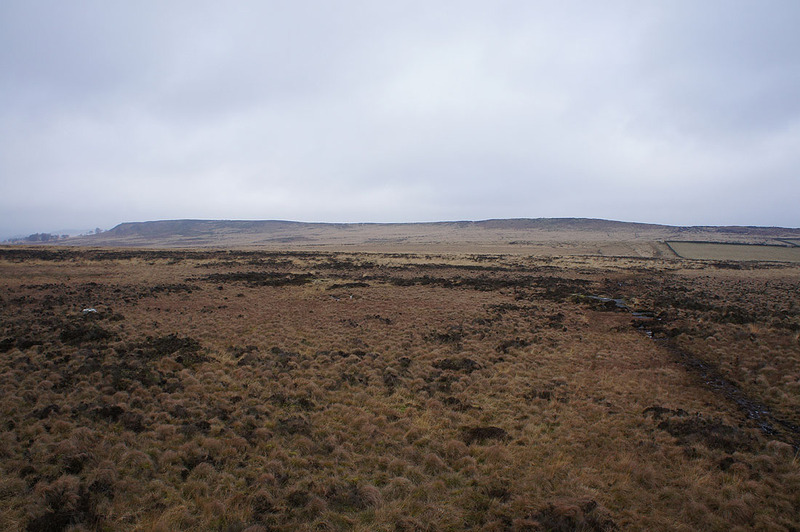 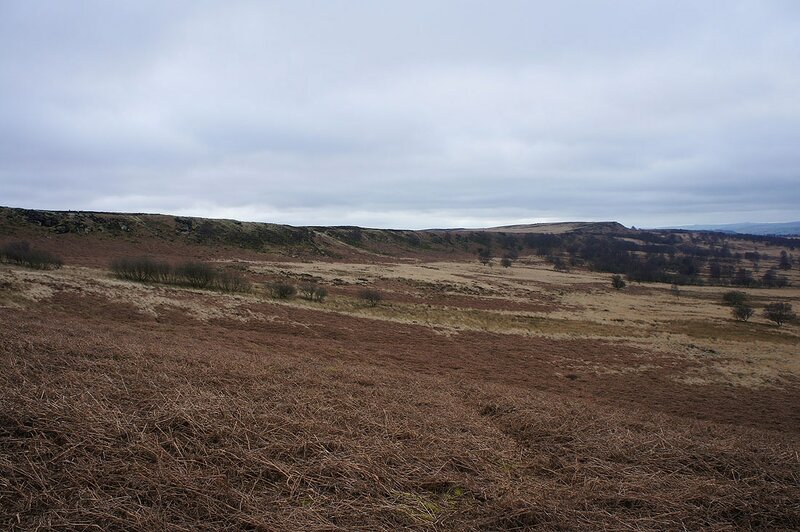 Looking east across Big Moor..